Gill Timbers India- Importers and suppliers of KD-HT, Lumber of Western Red Cedar, White Oak, Southern Yellow Pine,Coastal Douglas Fir, Western Hemlock, Hard Maple. We are currently supplying shiploads and containers to China, India, Middle East and Indonesia. Hemlock, Douglas Fir, SPF, Southern Yellow Pine, Oak, Cedar, Alder, Walnut, Maple is available. Business inquiries may direct to ivongill@gilltimbers.com OR Dial 1 604 832 8747 Or Skype: ivon.gill | Terms and Conditions Apply. GILL TIMBERS INTERNATIONAL LTD. IS A CANADA BASED COMPANY WITH WORLDWIDE BRANCH OFFICES. Walnut wood has a fine grain with diffuse pores. Its sapwood ranges from white to light brown. Its heartwood is chocolate brown. Walnut is highly prized for valuable items such as high-end furniture and caskets. It is also used in cabinetmaking for mouldings and architectural millwork. 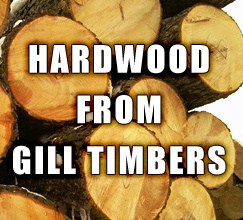 Gill Timbers is importing Black English Walnut logs and burls. We are importing and supplying Walnut logs and burls. Check out latest business offers for Black English Walnut.